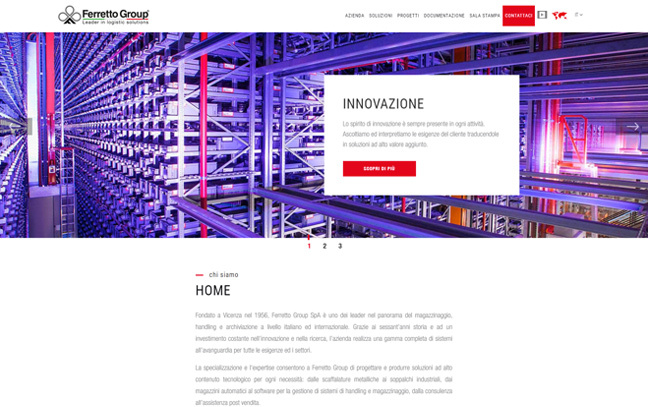 Ferretto Group SpA is a leading company in the production of storage, handling and filing systems. 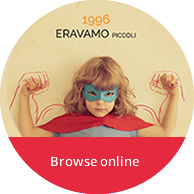 Nowadays, the company has an enhance presence in the Italian and European market, moreover has reached a global presence through different offices and commercial representations all over the world. WINTRADE supports Ferretto Group SpA along the process of Digital Transformation: the development of a new website aligned with the current market standards and a web marketing media planning in order to offer a new digital presence to the company. The new Ferretto Group SpA website has followed a well-framed process of planning and development, it is responsive and seo-optimized and all the new information and the core solutions of the company are well organised in a functional structure for the use for the current and new users. The new website highlights the projects and the case study in order to stress the quality of the products and the consultation offered by Ferretto Group SpA. WINTRADE offers consultation in Social media Management, both on a strategic and tactical level, in order to set an efficient communication to the company in the social touchpoints. The working plan is developed starting by different workshop and then by the planning and development of the main touchpoints. The planning followed for online communication is in progress also for the BTL materials. WINTRADE has supported us during the process, still in progress, which is rebuilding the digital presence of Ferretto Group SpA. The many activities we are developing have allowed us to set up an efficient and clear communication, perfectly aligned with our needs. The spirit of innovation is still present.